Aloe vera has been used for medicinal purposes for over 3500 years. Aloe vera was always known for its soothing effect when applied to the skin. Nowadays you'll commonly see aloe vera gels to be used as a skin moisturizer, or for burns. But it also has a number of vitamins and minerals that are essential for good health: Vitamin A, C, E and B vitamins, as well as calcium, magnesium and zinc. It also has 18 different amino acids—what the body uses to form proteins. So using it in food and drinks can be a good source of nutrition. But there are a number of aloe vera juices on the market now. Which ones are really good for you? 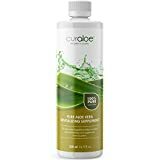 Here is a guide to some of the best aloe vera juice products on the market. Pure raw juice: People take this more as a dietary supplement, as opposed to a soft drink. The manufacturers recommend 2 ounces a day—one ounce in the morning and one ounce in the evening. 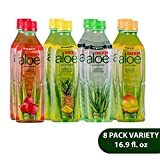 Aloin-free: You'll see some aloe vera juices that are “aloin-free”. Aloin is found in the skin of the aloe vera plant. This is a bowel irritant that is very laxative and may cause diarrhea. Juice is usually made more from the pulp of the aloe vera leaf, which has a more soothing effect on the digestive system. Juice with or without pulp: You'll find juices that contain the pulp of the aloe vera inner leaf. Other products have the pulp strained out, for a more watery texture. Reduce inflammation and acid reflux: Naturopathic doctors recommend aloe vera juice for reducing inflammation of the digestive tract. 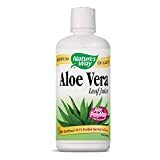 People who suffer from heartburn notice that taking an ounce of aloe vera juice in the morning on an empty stomach eliminates the heartburn, and even prevents it from reoccurring. 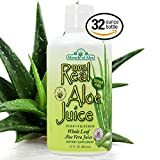 Helps skin problems: People apply aloe vera gel to their skin, but people also notice that drinking aloe vera juice is beneficial for their skin. Taste and color: The aloe vera juice which has had the aloin removed will be colorless and tasteless—like water. Digestive problems: Aloe vera juice is recommended for irritable bowel syndrome: people who suffer from bouts of constipation and/or diarrhea. Aloe vera juice contains fiber, which helps regulate the person's bowel. Treating ulcers, GERD ( = gastroesophageal reflux disease), Crohn's Disease. People also recommend aloe vera juice to combat problems stemming from acid reflux. It is also good for people suffering with peptic ulcers. It won't allow you to eat foods that irritate you and increase acid reflux, but with a proper adjustment in diet, it can help reverse the damage that has already been done. Strengthens the immune system: Some studies have indicated that aloe vera juice is anti-bacterial, anti-viral and anti-fungal. It can also reduce the symptoms of seasonal allergies. Earth's Daughter-- is a natural health products company located in Briarcliff, Texas. They make a variety of health care products: toothbrushes, bath and shower accessories, and aloe vera products. Alo—is located in San Francisco, California. They make aloe vera drinks in several flavors, from aloe vera plants that are organically grown in the Far East. Aloe Force—are producers of raw, whole aloe juice. They were founded in 1998, and have their headquarters in Saratoga Springs, New York. They make aloe vera products for body care, as well as liquid dietary supplements. Lily of the Desert-- was founded in 1971, and is based in Denton, Texas. They are one of the largest growers and processors of organic aloe vera in the USA. They own organic aloe vera farms in Texas and Mexico, as well as processing facilities, from which they make numerous aloe vera products. They make drinks, gels, and oils. George's Aloe—is produced by George Warren, a research chemist in Abbot, Texas in Warren Laboratories. He founded his lab in 1979. He has devised a method of removing the aloins from aloe vera juice, which give the juice a bitter taste and a green color. The result is an aloe vera product that does not require preservatives or refrigeration.